Home news politics Biafra Will Be Actualized Without A Gunshot - UWAZURUIKE. 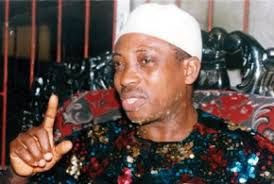 Biafra Will Be Actualized Without A Gunshot - UWAZURUIKE. yesterday disclosed that his organization was the first in the continent to adopt the non-violent approach in the struggle for independence, assuring that BIM-MASSOB would teach Africans a lesson that a lot could be achieved through non-violence than resorting to violent agitation. Uwazuruike stated that the struggle for New Biafra is not like the over throw of government which a junta can always wake up to do, stressing that MASSOB is not violent in its approach is for our own good and not for the good of Nigeria. In a press statement signed by the Biafra independence movement’s Director of information, (BIM), Mazi Chris Mocha, Uwazuruike further explained that in his careful planning of MASSOB in 1999 through non-violence he envisaged that he would actualize Biafra without a single bullet fired, no life would be lost and no exodus involved. “No nation has ever achieved independence through violence and I challenge everyone to mention just one Nation that achieved independence through this process”. The Ijele Ndigbo revealed that he spent time to educate his members on the philosophy of Non-violence because the moment violence becomes admissible the whole objectives set out by BIM-MASSOB would be defeated. He however, disclosed that on severed occasions the federal government had wanted BIM-MASSOB to adopt violence so that it could find enough excuse to crush the new Biafra struggle and depict us as hooligans before the international community. Uwazuruike who maintained that there’s no alternative to non-violence, also revealed that in November 1,1999 when he submitted the Biafra Bill of Rights to United Nations, UN that he gave the international community the assurance that his group shall remain non-violent.